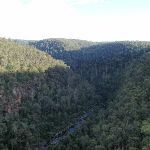 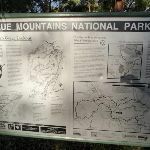 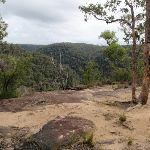 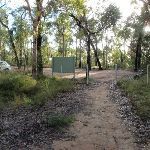 From the car park, at the end of the publicly accessible section of the Nepean Lookout Fire Trail, this walk heads through the gap in the wire fence next to the large ‘Blue Mountains National Park’ information sign. 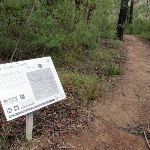 The walk soon passes a silver information sign about ‘Jack Evans Track’, where the sandy track starts to head down hill, with the occasional wooden step. 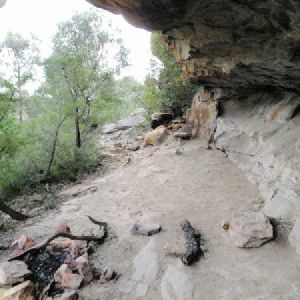 Passing a burnt ‘take care when walking near cliffs’ sign the track passes several informal tracks off to the right. 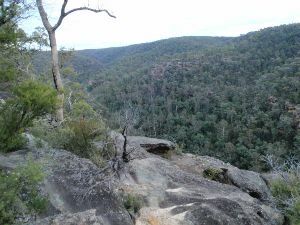 The main track continues down the hill until a larger sandy area gives way to a rock platform and view on the right, this is Erskine Lookout, an unfenced informal lookout. 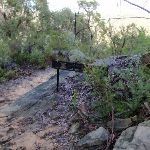 This informal and unfenced lookout on Jack Evans Track is in the lower Blue Mountains south west from the end of Nepean Lookout Fire Trail. 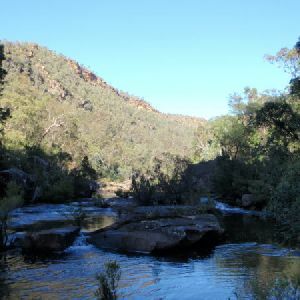 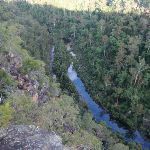 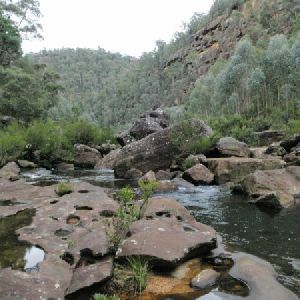 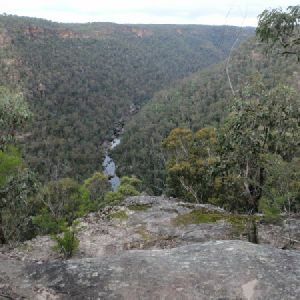 The lookout is perched high above Erskine Creek and provides wonderful view upstream, and good views downstream. 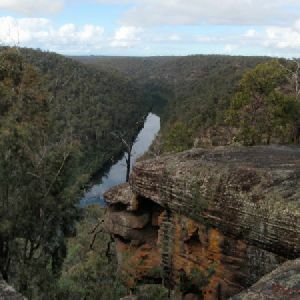 The view down in to the gorge gives a unique perspective of the lower section of Erskine Creek. 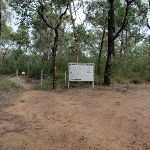 This whole walk, 320m has directional signs at most intersection. 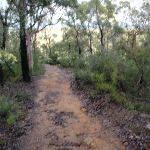 This whole walk, 320m requires some bushwalking experience. 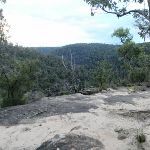 This whole walk, 320m has limited facilities (such as not all cliffs fenced). 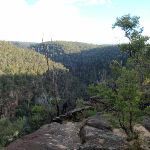 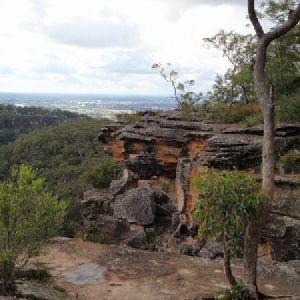 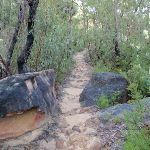 A list of walks that share part of the track with the Erskine Lookout walk. 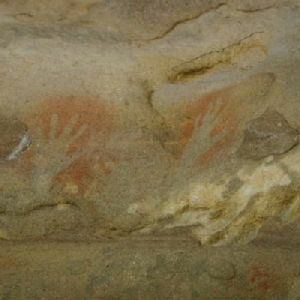 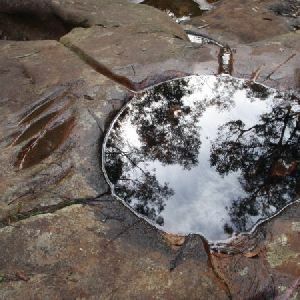 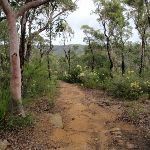 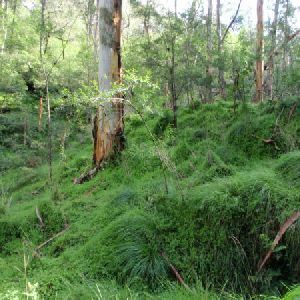 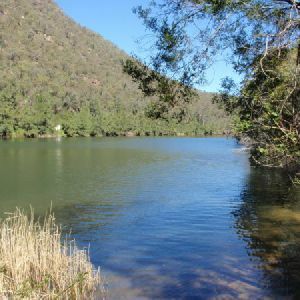 A list of walks that start near the Erskine Lookout walk. 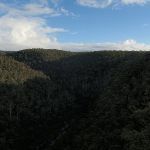 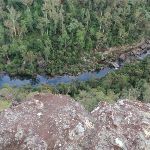 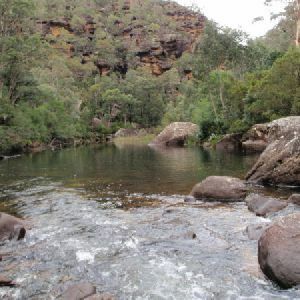 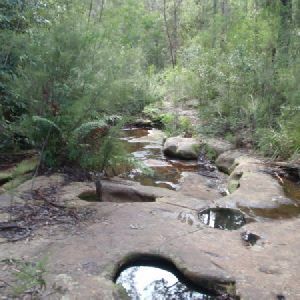 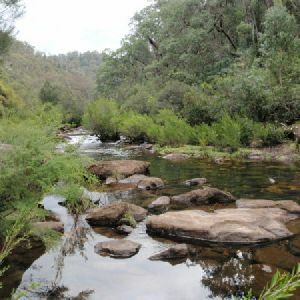 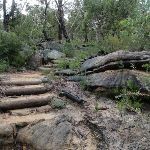 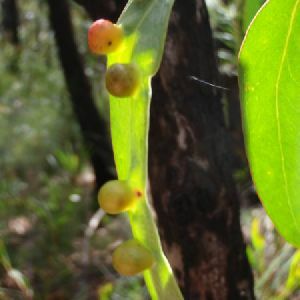 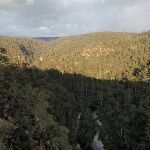 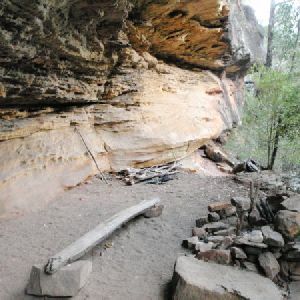 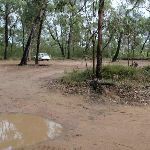 http://new.wildwalks.com/wildwalks_custom/includes/walk_fire_danger.php?walkid=nsw-bmnp-el Each park may have its own fire ban, this rating is only valid for today and is based on information from the RFS Please check the RFS Website for more information.